Voyager III-L appeals to Hygienists and Dentists alike, with equal left- and right-handed compatibility. Voyager III-L treatment centres are extremely versatile and reliable offering incredible value to all Practices. By the nature of its ambidextrous design and outstanding ergonomics, it is both a space-saving and a very efficient working environment. 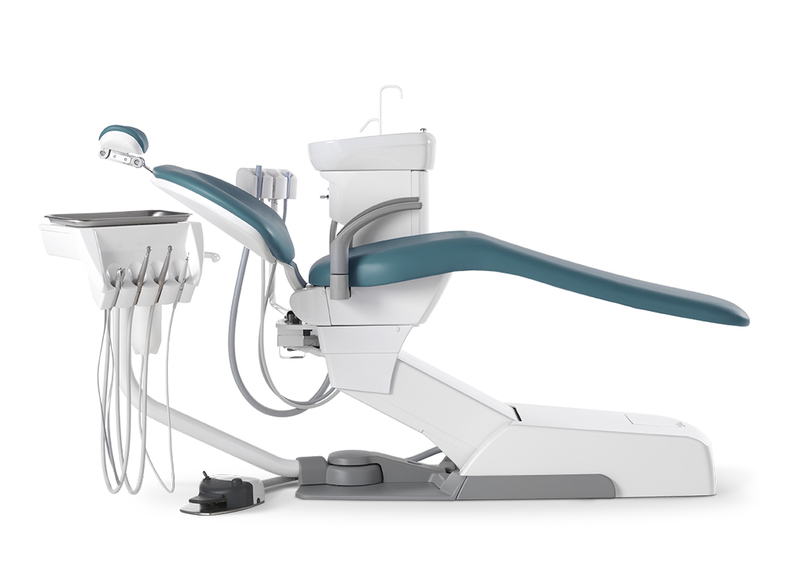 The Voyager III Dental Chair and its treatment centres are extremely versatile and reliable offing incredible value to all Practices. By nature of its ambidextrous design and outstanding ergonomics, it is both a space saving and provides a very efficient working environment. 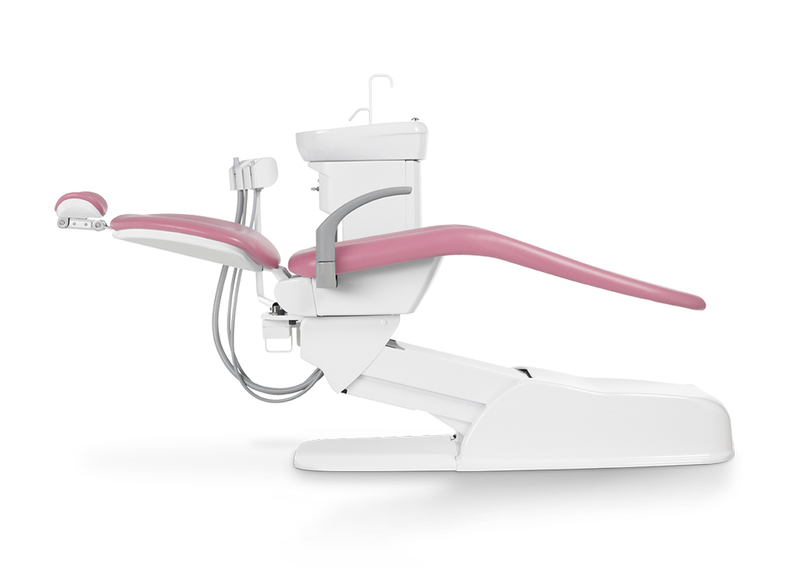 Base mounted swing-around operators table, with 3 handpiece outlets. This chair package comes with the 729VG operating light as standard. The Voyager unit is also available with cart or cabinet mounted delivery options.